Arduino introduced an IoT Cloud as part of its professional IoT strategy. 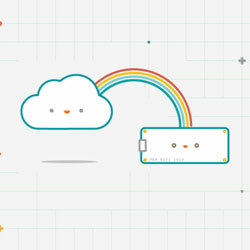 Aimed at developers, system integrators and maker hobbyists, the Arduino IoT Cloud is an easy-to-use IoT application platform that allows users to develop and manage IoT applications to solve real-life problems in a business environment or in everyday life. The introduction of this new platform builds on the company’s mission of making complex technology easy enough for anyone to use. “Simply attach the relevant sensors (e.g. temperature, light, and humidity sensors), actuators (e.g. irrigation pump), and switches (lights and fan) to the board. Upload the software (Arduino Sketch), and it will be ready in minutes to automatically control the properties of the actuators (e.g. activate the ventilation fans when there is too much humidity in the greenhouse) via a simple web interface.